TYLER, Texas – McMurry senior running back Paxton Grayer ran for a career-high 216 rushing yards to lead the War Hawks to a 40-0 rout of Texas College at Rose Stadium.The win improved McMurry to 2-1 on the year, while the Steers fell to 0-3. 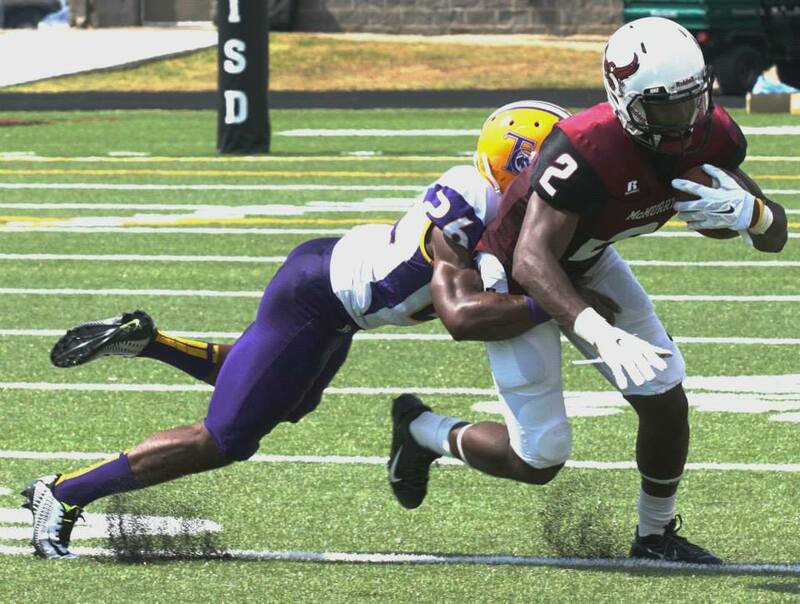 McMurry has out-scored Texas College by a 157-0 margin in three all-time meetings. But it was the powerful running of Grayer, who averaged 10.3 yards per carry, that propelled McMurry’s win. It marked Grayer’s first 200-yard rushing game and was the 10th 100-plus yard rushing game of his college career.